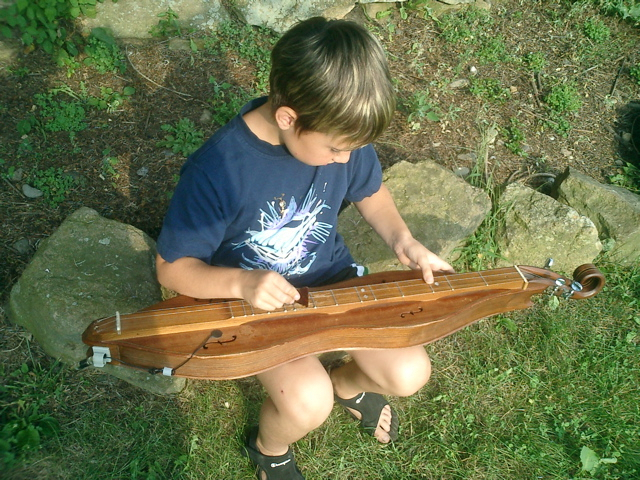 Best Instruments For Young Children – A “Play By The Numbers” Dulcimer! This simple and satisfying “first instrument” is a lot of fun and introduces any child or grown-up to the basic skills needed to play any fretted, stringed instrument such as the guitar, ukulele or mandolin. Play For A Child, With A Child, Or Let The Child Play! Learning an instrument with a child is a great way to teach them about the learning process. It can be helpful for a child to see that every person continues to learn throughout their lifetime and how that process works. Watching you try to play and struggle a bit, then persist, and succeed teaches persistence, patience and determination. Learning a simple instrument – even with the ups and downs involved – is a great way to bond with a child while building musical skills at the same time! 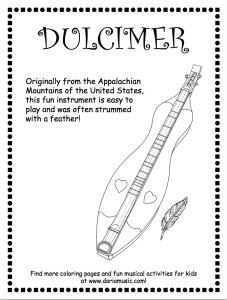 Play-By-Numbers song sheets for the tin can dulcimer or any dulcimer are just as easy as they sound. Each number corresponds to a “fret”, one of the long spaces you’ll find on the fretboard of your instrument. To play, push down gently but firmly at the center of each fret and then strum or pluck the string with the other hand. If the songbook says 2, then press the 2nd fret in the middle and strum until you get a good sound. Get the picture? And if you see a “0”, that simply means to pluck or strum the instrument without holding down any fret. Want to start with an easy song? How about “Mary Had A Little Lamb”? Here’s “Happy Birthday” on the Appalachian lap dulcimer. Numbers for both “Happy Birthday” and “Feliz Cumpleaños”, a Spanish version of that song, are below. Happy Birthday, dear (add their name), Happy Birthday to you. Cumpleaños feliz, te deseamos a ti. Cumpleaños felizes, te deseamos a ti. Have any questions about these instruments? These are two instruments I really enjoy playing so I’d be happy to answer your questions. Drop me a line in the comments section below. 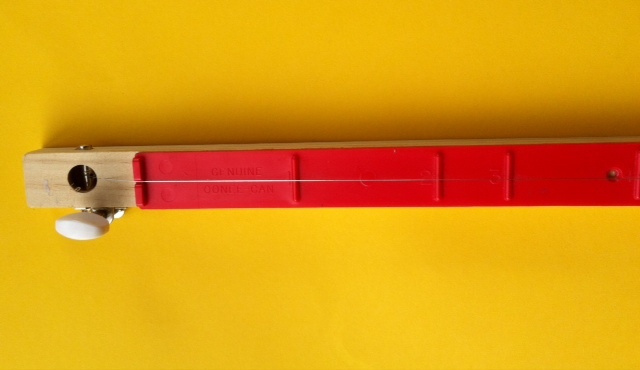 Best “First” Instruments For Kids – A Tin Can Dulcimer! If you can count, you can play this instrument. 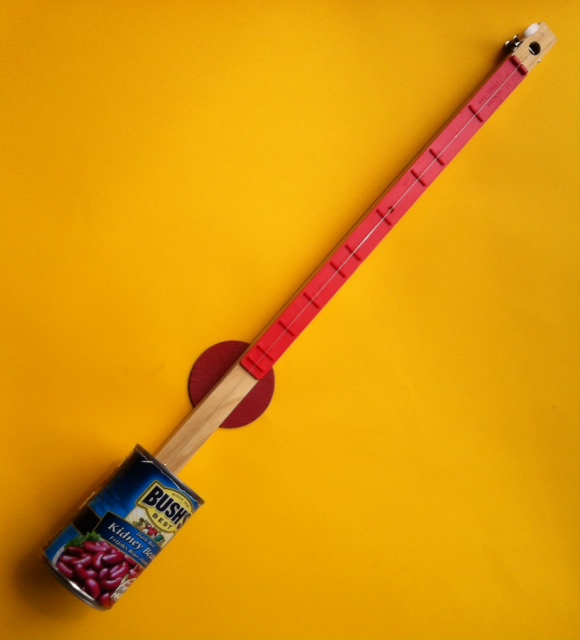 This simple one-stringed instrument made from a humble tin can is a great confidence booster for either young kids or adults who may doubt their musical ability. Constructed like an Appalachian (stringed) dulcimer, you can play any note up and down the fretboard and sound great! And check out the “play-by-the-numbers” songs or songbook and you’ll be able to master songs you recognize literally within minutes. What fun! 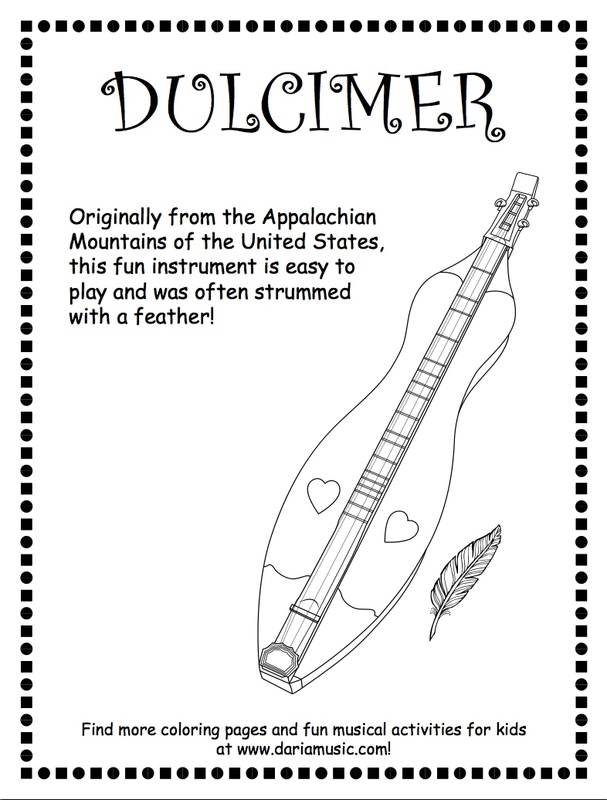 The stringed dulcimer from Appalachia is a really similar instrument made with a wooden body and a few more strings. If you’d like to see one, color one or hear one being played, check out the links below. This tin can instrument simplifies it even more. There’s only one string to play and a long fretboard marked with numbers. To play it, you read the numbers to the song and push down the correct fret with your fingers. What’s A Fret? Don’t Fret About It! Okay, pardon my pun here. 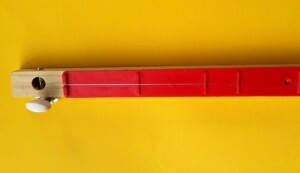 The frets are the long spaces on the fretboard. When playing the instrument, push down gently but firmly at the center of each space – or fret- and then strum or pluck the string with the other hand. So if the songbook says 3 – 4 – 5. They press down of the 3rd fret in the middle, the 4th fret in the middle and the 5th fret in the middle. And if you see a “0”, that just means to pluck or strum the instrument without holding down any fret. 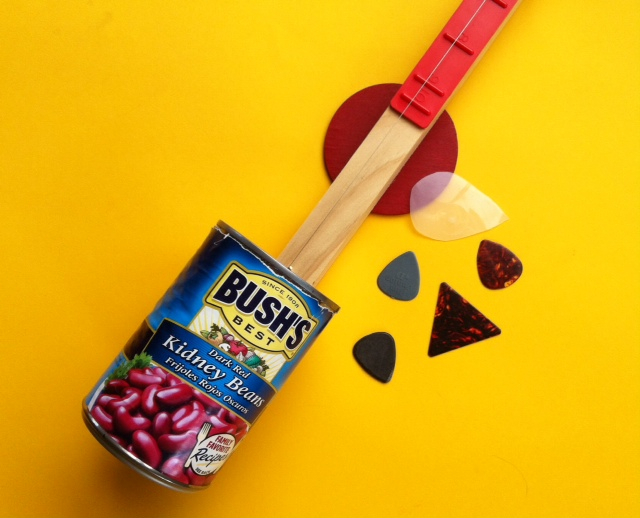 You might want to pluck the one string with your fingers, but most folks prefer a pick. That’s a tough piece of plastic shaped in a teardrop or triangular shape used to strum over the strings. Some picks are softer and some are harder. If you have a few picks from a music store, try them out and see which ones you like the best. It not, cut up a milk jug or a similar piece of tougher recycled plastic (like a coffee can lid) and make your own. The tin can instrument is a ton of fun. Check it out here as we play the first song we learned on it – “Oh When The Saints Go Marching In”.